How Can I Go Activecare Physical Therapy? 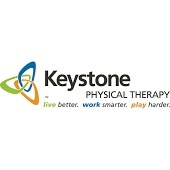 Where is Activecare Physical Therapy in Erie on the Map? Many thanks to Ehren and his team for getting me back into my active life and enjoying all my hobbies. Living in Erie has afforded me the opportunity to bike, snowboard, rollerblade, golf, and just plain walk at the beach. As I approach 60, my body complains about aches and pains that I try to ignore. The typical response I receive from doctors suggests losing weight - duh. As an educator, I am interested in the "why" and trust evidence-based information. Research provides many different answers to the same question, so Ehren's strength in his knowledge base and experience, as well as his own curiosity and interest to do it better, have provided me with the confidence and motivation to go the distance with therapy at Activecare. They don't give up on me, and I didn't give up on myself. No crazy accident was the catalyst for my visits, just the wearing out of an active person. Each concern was methodically evaluated and assessed based on my specific lifestyle and health. As a teacher, I realize that no child learns the same way and individualizing their education plan, supports their success; such is the case with Ehren and his team. I feel my concerns are addressed as an individual without "cookie cutter" responses. His patience is evident with my argumentative and "know it all" attitude. Ehren did his job well and motivated me to do my homework (exercises). I have a valuable "toolkit" of exercises to continue maintenance of my body, independently. So summer - here I come with my back feeling strong and supple, my neck feeling flexible and pain free, my meniscus back in place, no more tingling in my thighs, and a smile on my face as I head down to the beach to have fun! Thanks to my friends at Activecare. Debbi Jeannerat. Activecare Physical Therapy was recommended by my Podiotrist following a foot surgery. I questioned whether or not I truly needed therapy. I am thankful that I chose to go and chose Activecare. They helped restore my mobility and range of motion at a faster rate! Great staff!! I got the reviews from the Millcreek Magazine. I thought of giving a try on my shoulder pain with Dr. Ehren. After just 1 visit, he shown me the pressure points to do massage myself and got recovered 90% in just 4 days. It was very happy in just 1 visit. I will recommend to my friends when they need it. Every staff member that I encountered was friendly and professional; and I feel much better. The therapists showed interest in me as an individual as opposed to making me feel like just another patient. Need physical therapy? Activecare is THE place!! !